The weather is so very changeable in Glasgow, it's hard to really wrap my head around the fact that it's spring. There have been gorgeous. sunny days, but there have also been days where the blue skies are marred by a giant patch of black. Very ominous. Because of the indecisive weather, I still want to do things like buy a jacket in May. Crazy? I don't' know. But necessary definitely. Which is why I get annoyed when i wander all around high street shops and can't find much in the way of outerwear. In particular, I'm looking for a leather jacket. I want a biker jacket, or perhaps one of those long suede coats that flow a bit. I'm not sure, but I do know I'm not seeing them around much. So, that would be number one on my May wish list, but since I haven't found the one I want, there's no picture for that. On to number two. 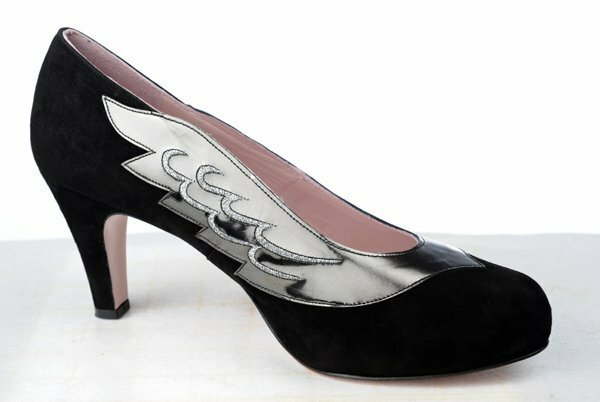 I love the whimsy of these winged shoes by Minna Parikka. I don't wear heels very often, but I would be willing to make an exception for these. 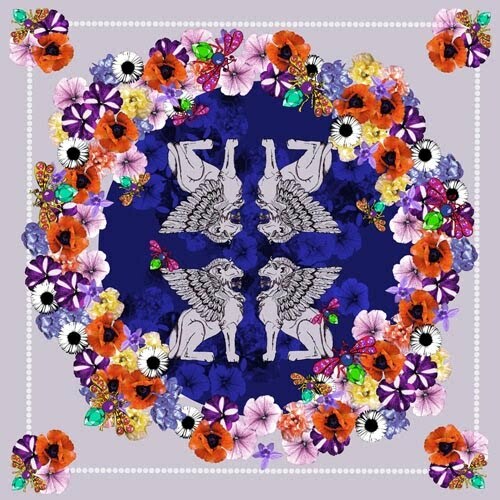 Aberdeen based Helen Ruth makes fantasically baroque scarves with unusual colour palettes. 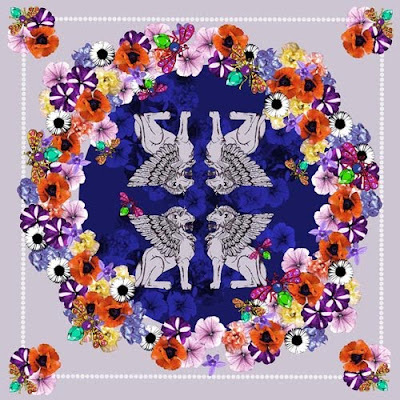 I'm completely in love with the garden scarf, available at Wolf and Badger. 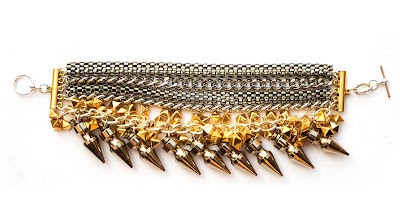 And, just to carry on with the theme seems to be emerging in this month's wish list (that is, champagne tastes), I've got to add this moorage daydream bracelet by Assad Mounser at Kabiri. 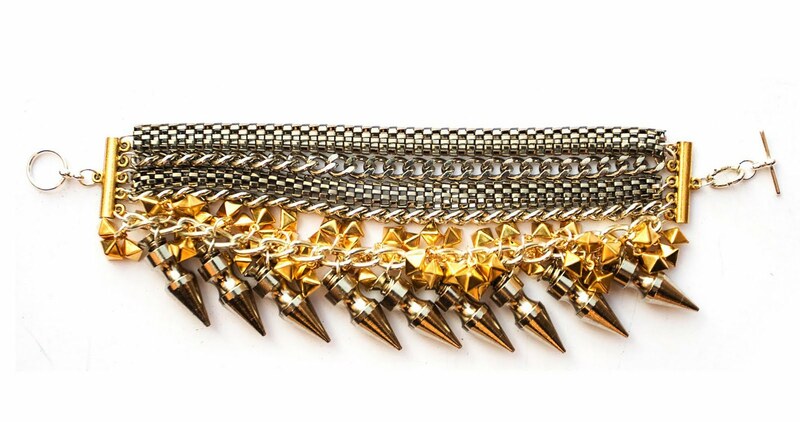 The mixture of metals and chains and studs could so easily be too much, but Assad Mounser makes it work. 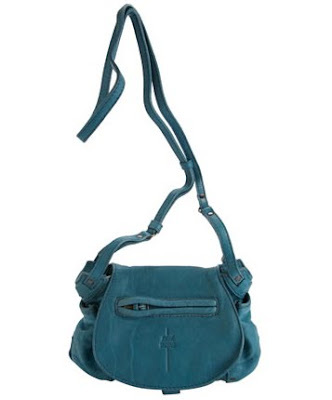 A good messenger bag is a total necessity in the summer, so I can be hands free while I wander around the West End and Merchant city festivals. This Jerome Dreyfuss one at Liberty is exactly what I want - too bad it's out of my price range! 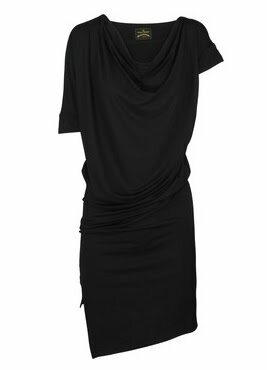 This draped jersey dress by Vivenne Westwood Anglomania at Net-a-Porter is so sophisticated, and looks like it would be very flattering. But, no matter how sunny or pretty it might get outside, I still like to lounge around my flat, and this cardigan from Pure would be perfect for that. It just looks like the softest, cosiest thing one could put on. I think many other people may have gotten the same idea, because there's a wait of up to 9 weeks to get one. I know what you mean about the changable weather-when I left for college this morning I wore a jacket, scarf and boots as it was pretty cold. Fast forward to hometime, and Buchanan Street is full of bare-legged girls and boys in t-shirts!